A year after declaring a Caliphate, Al-Baghdadi’s ISIS is winning the war on many levels. The recent pledges of allegiances by most prominent tribes in Anbar are just some examples that ISIS is not only acquiring more quality territory but is winning hearts and minds of millions of people. 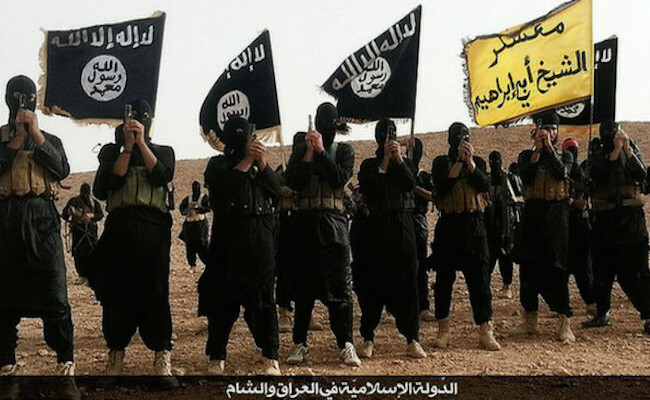 The recent poll conducted by one of Aljazeera Arabic programs called Al-Ittijaah Al-Muaakis strongly suggested that ISIS enjoys the support of more than 80% of the thirty thousand viewers who chose to participate. If that was a sufficient sample it would simply mean that there is a significant portion of the Muslim world which supports the efforts of the group and what it stands for. Most of the support would be silent given the official governmental stance on ISIS. The sizable support the Islamic State enjoys is real and even its enemies do acknowledge it and indeed taking concerted actions to curb the influx of would be IS soldiers into Iraq and Syria. The foes also do admit through the likes of Obama that the self–declared Caliphate is a well organized opponent who understands its objectives and who has a clear strategy to fulfil them. That clarity of mission and willingness to not only kill but die for it is a strong recruiting tool among others. But ISIS’s successes in exposing or portraying the Shia as anti Sunni and portraying Iraq’s and Syrian governments as Iran’s Ayatollah’s puppets intent on expanding their ideology throughout the region has given it an edge and secured it an even wider following and support. The fact that the IS is actually fighting and indeed defeating the Shia’s makes it the only force that is willing to give ultimate sacrifices to protect Sunni Muslims. Recent Saudi-led war against Hoothis might be partly a pre-emptive national security endeavour but may also be targeted at pulling Muslims away from supporting ISIS. But beyond the Shia-Sunni rift, there are many other factors that make people either willing to directly support ISIS by travelling to Iraq and Syria or by providing material support in other ways. Amongst those factors is the disunity of Muslims that is due to decades of political injustices that landed the Muslim world in a sea of economic deterioration and the resultant moral degradationand ignorance which is now being translated into bloodshed of unprecedented magnitude. ISIS-controlled areas, it would appear, are the only ones within Iran and Syria that enjoy relative peace. The idea that the group can bring about peace and justice for the Sunnis is being ingrained every minute and that is ISIS’s first step in its long term strategy. That is one of the main goals for the occasional American air raids in Mosul and other cities; they are attempts to portray ISIS as incapable of bringing peace to areas it controls. Despite of all the challenges, ISIS managed to gain momentum and making narrative and physical gains. More is still to come as one fact remains and that is that Al-Baghdadi is yet to use his most important recruiting tool. If ISIS manages to stand against Iran’s-led Shia militias and the “crusaders” for a substantial amount of time and solidifies its image as the true and only protector of the Sunnis in Iraq and Syria, the group would eventually solidify its position as the main and only one capable of protecting Muslims around the world. This would make ISIS different from other Muslims in that not only is it intent on standing up for “true” Muslims but is actually making huge sacrifices to make that protection a reality. Apart from the Al-Jazeera poll, chat rooms on the net already show that a significant portion of Non-Shia Muslims take ISIS to be the only honest and capable force to protect their dwellings, belongings as well as their dignity and capable of returning them to the glorious days of Sharia Islam. If and when ISIS finally clearly declares that its next mission is to retake Jerusalem from Israel that would be the recruitment extravaganza for ISIS. Many Muslims across the globe who have been reluctant or unwilling to fight for ISIS in Iraq and Syria would undoubtedly join it if it declares its next destination to be Israel. Needless to say, that is the point that the US, Israel and Europe would go all-out to block IS from reaching. But those who have been following ISIS for the past year know that ISIS is capable of making long term complicated and pre-emptive calculations. Some Muslim scholars might be anti ISIS in its present fight but no scholar would dare say or give fatwa that heading towards Al-Quds to liberate it is against Islamic teachings. Doing so would amount to a treasonous affair against 1.7 billion Muslims who have been waiting for that direction for almost half a century since the humiliating defeat by Israel in 1967. ISIS has not yet used the Jerusalem card and that is for a good reason. ISIS has to first prove that it is the only force strong enough to protect the Sunnis in Iraq and Syria and the only one capable of bringing the long-awaited peace, justice and prosperity to them. That is the major challenge for ISIS as its enemies won’t allow it to come across as the redeemer. But if ISIS does manage to bring peace, justice and prosperity for the likes of Mosul, Reqqah and Ramadi for just a few years then a time will come where it declares it intentions to head to Palestine to liberate it. That is the only natural eventual move for an ultra conserve-tive Muslim organization. When that happens ISIS would be in effect calling all Muslims to join a “holly” fight of unimaginable proportion and one which few Muslims would be able to refuse. The only other juncture that ISIS would declare the intention to liberate Jerusalem is if it sees its doom nearing. Facts on the ground however show that ISIS would declare its heading to Israel while on top of the game rather than when it’s weakened.